Standalone GPS connectivity gives you the freedom to get away from your phone once in a while. Be guided and motivated by the professional running coach feature. 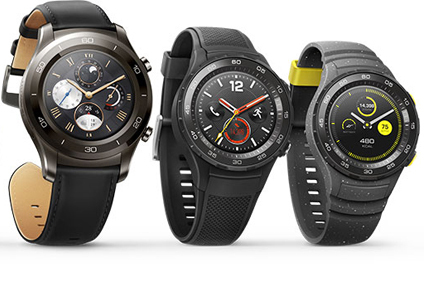 HUAWEI WATCH 2 comes in sports and classic watch styles. Lowered Lugs compared to the first generation of HUAWEI WATCH 2, the design provides better ergonomics and more comfort to the user. 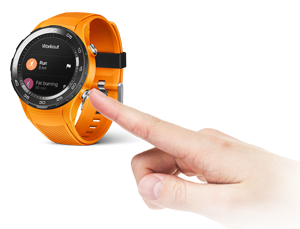 It also gives a better stability to the watch during heartbeat feedback during sports and exercise. 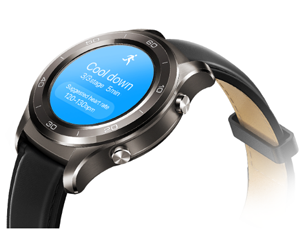 GPS, NFC, Wi-Fi, and a Bluetooth antenna are integrated under the watch bezel. This reduces signal interference from your body and optimise signal reception. Fat-burning run or cardio run modes are designed for you to start your workout quickly. Choose your incentive and fire one of them up. Simply start running and HUAWEI WATCH 2 will tell you when to speed up, when to slow down, and when to stop. Enjoy outdoor run or cycling with live GPS mapping on a high resolution display. Android Wear 2.0 gives you the freedom to take your favorite apps with you. Some apps can even work independently from your phone. Assistant is always there to help you, summon it with just a long press on the upper crown. Pros: -Does all the stuff a smartwatch should do. -Battery lasts a long time, even with ambient mode turned on. Cons: -The screen is a little smaller than my gen1 Motorola watch. -After an update, no longer measures heart rate automatically, I presume to save battery. You will need to install an app if you want your heart rate checked regularly. Pros: Clear display easy to see in full daylight. We are delighted to hear that you are enjoying your spectacular Huawei Watch 2! 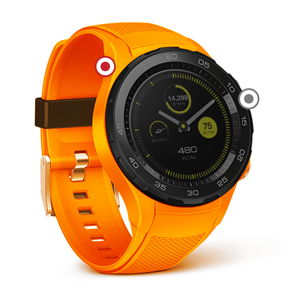 The Huawei Watch 2 has a persistent heart rate monitor works continuously with high precision. You can view your heart rate graph for the last 6 hours. Resting heart rate monitoring is also supported. Pros: I enjoyed the watch until the screen randomly cracked after 2 months. I wear this watch daily and use it to track my workouts. After a workout I noticed a crack across the screen. I then called Huawei who informed me that they would not repair or replace it. I am very disappointed in this watch. 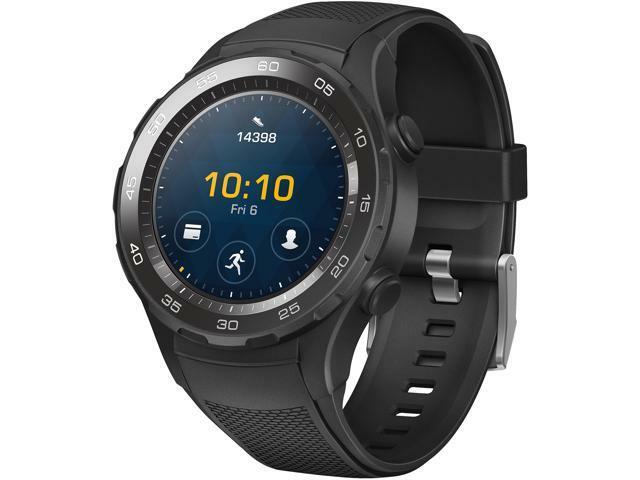 It is too bad to hear that you are not having a good experience with your Huawei Watch 2. Kindly let us provide you the following information. According to our warranty policies, section 7, part "a" and part "b"
a) Abuse, accident, misuse, improper storage, exposure to liquid, moisture, or dampness. Since your device has a physical damage, the warranty is voided that is why we can not repair your device. Pros: The second button that can be customized is awesome! I'm not usually a fan of rubber straps but this is surprisingly comfortable. I owned the first Huawei Watch and the changes in dimensions is barely noticeable. Thank you for your review, is really appreciated! 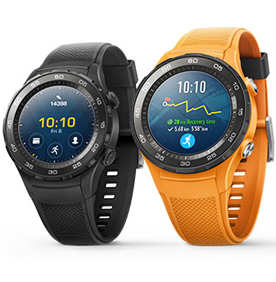 With your Huawei Watch 2 you can go running or cycling with your favorite workout beats, while guided and motivated by real-time coaching, and have your trail mapped via GPS, all without the burden of a phone. 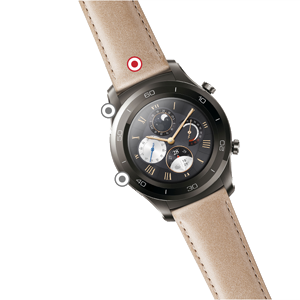 Let us provide you some information about the resistance of your Huawei Watch 2! The IP68 design helps protect your watch from dust and moisture. You can wear your watch when you are washing your hands or in the rain. Do not wear it when washing cars, swimming, diving, scuba diving, or showering. Cons: charging cable better than 1st gen but not that great. We do not recommend to use third party chargers, this can cause the reduction of the battery life of your Huawei Watch 2. 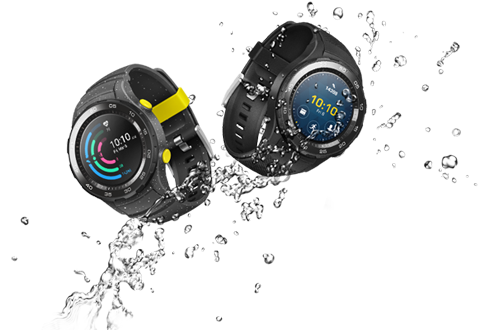 Did you know that your Huawei Watch 2 has the IP68 water and dust protection? Your Huawei Watch 2 is designed to resist the elements and wont get in your way.